The new chief of the state's beleaguered child welfare system had a clear message for Texas lawmakers Tuesday: Time has run out for business as usual. 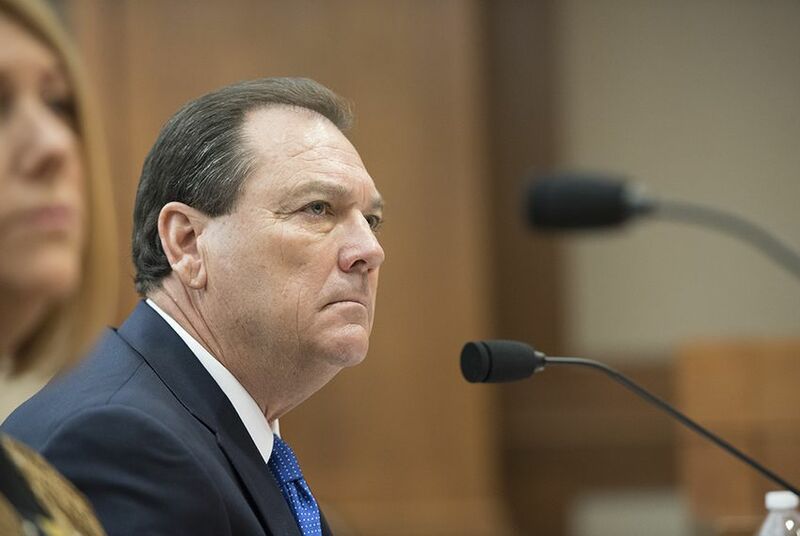 The new leader of the state's beleaguered child welfare system had a clear message for Texas lawmakers Tuesday: Time has run out for business as usual. “I was hired, bottom line, because our governor was sick and tired about reading about infants and toddlers who were severely injured or killed while or after they were involved with Child Protective Services,” said Hank Whitman, who was appointed by Gov. Greg Abbott to head the Department of Family and Protective Services in April. “That mission must be carried out without failure and with a new culture of accountability in the entire organization,” he said. "Those who do not share our vision of children first no longer have a place here." The agency is currently grappling with a spike in the number of children sleeping in CPS offices and psychiatric hospitals, high staff turnover and a spate of high-profile child deaths. It is also the subject of a recent federal court ruling that condemned the state's long-term foster care as an inhumane institution in which children "often age out of care more damaged than when they entered." Whitman said his efforts would focus on accountability — among his new policies is one requiring regional managers to re-apply for their jobs — and prevention — helping families create a home environment that doesn’t require the intervention of Child Protective Services. He also called for higher pay for caseworkers. Shortly before the hearing, he released a letter he sent to Abbott outlining his vision for an overhaul of the troubled agency. His recommendations included forensic training for CPS investigators, closer communication with law enforcement and more investment in the foster care system. Lawmakers will draw up a new two-year budget for the agency when they return to Austin in January. Read Whitman’s full letter to Abbott here.